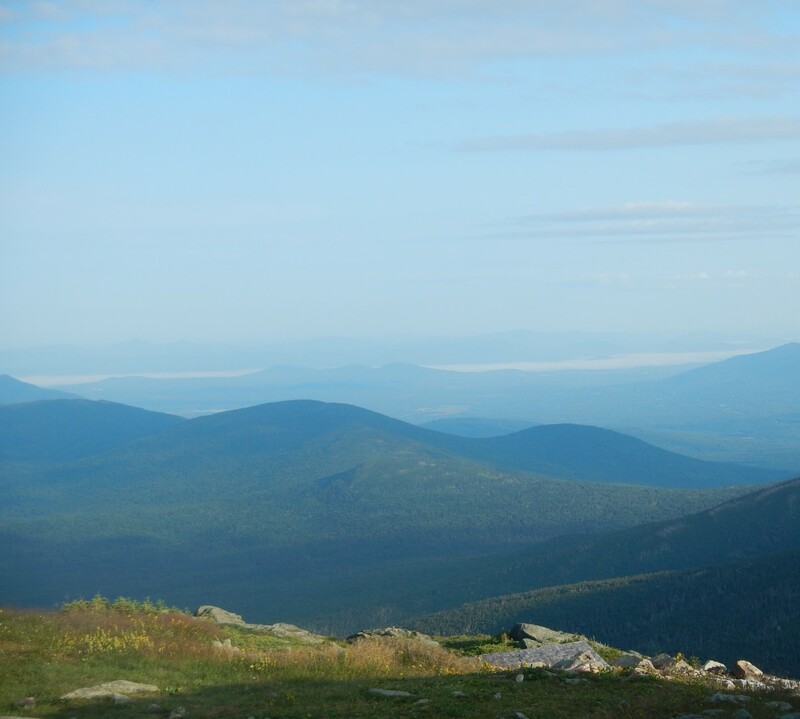 August 22, 2014 Katherine H.
Where we live in NH is just 2 hours from the White Mountains. Like a fool, I barely took advantage of this during my 4 years at UNH. Luckily it didn’t take me too long to realize the error of my ways and we’ve spent most weekends of this summer hiking in the mountains. 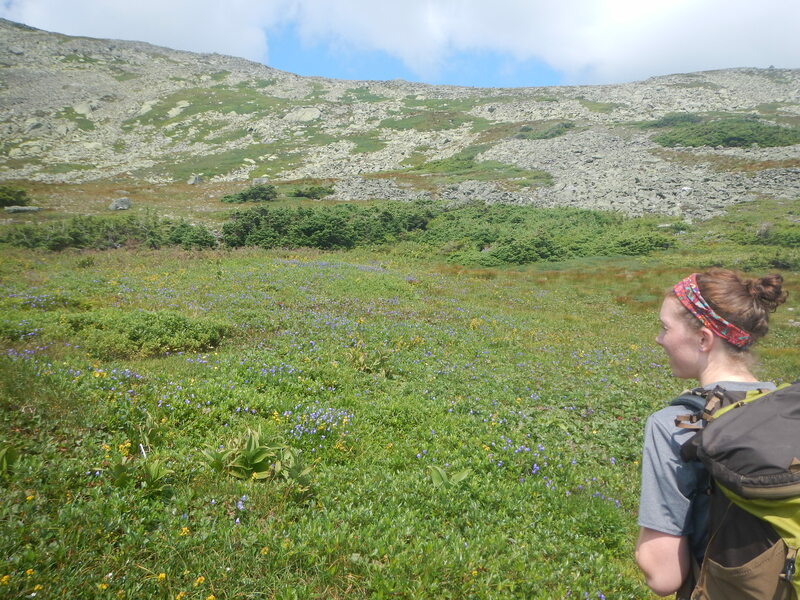 Collin decided in May to go for the NH 48 – hiking the 48 4000′ peaks – in 2014. And so, we’ve been hiking. A lot. So far we’ve done 12 peaks together and he’s done another 12 with other friends. Going for the 48 has been an outstanding challenge and an awesome way for us to explore new trails every time we go to the mountains. It’s been the perfect way to choose our trips so we’re not overwhelmed with the options. Especially since we are not the most decisive people on the planet. I can say, without a doubt, that the day we did the Kinsmans and Cannon has been my favorite so far. It was a 13 mile day and we pushed to do it in 7 hours which made me feel like a rockstar. To finish a day like that and still have energy and a positive attitude at the bottom is so rewarding. My family was all about hiking when I was a kid- we only went on 2 non-mountain vacation in my entire childhood, I swear!- and I mostly remember just suffering to the top every single time. When it feels good to work to get to the top and you just want to go harder- that’s when it clicks and you realize why people do this. 2 weeks ago, after hiking Willey, Tom, and Field, we were very fortunate to get to spend a night at the Lakes of the Clouds hut below the summit of Mt. Washington. A good friend of ours spent the summer working up there for the AMC and we were so lucky to enjoy an experience that most people have to pay more than $100 a night for. 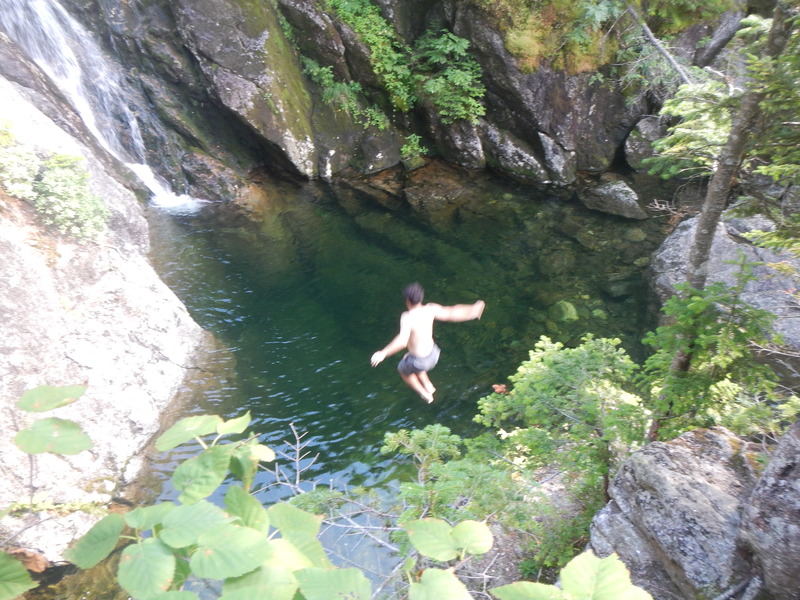 We hiked up the Ammonoosuc trail with them and stopped to play in a waterfall/mountain pool along the way. I did not jump in after being informed that the water was “f***ing cold”. We spent a magical night up at Lakes. The weather up there is usually startlingly bad- cloudy, windy, rainy, cold. The night we were up there was definitely windy and brisk but it was so clear we walked out to the lake Saturday night without headlamps under the full moon. Does it give you chills? It should. If you ever have the opportunity to spend the night up there, do it. I promise you won’t regret it. On Sunday we hiked around the alpine zone with our friends for a couple hours before heading back down via the Jewell trail. The alpine garden trails were rad and the flowers! Look! On Labor Day, Collin and our same two friends are doing the Presidential Traverse which is 10 peaks over about 23 miles. It’s a marathon of hiking, essentially, and I’m so excited for Collin to crush it! Send good vibes his way on 9/1, he’ll be working hard. We’ll have just under 15 to go after Labor day and I can’t wait for some gorgeous fall trips! 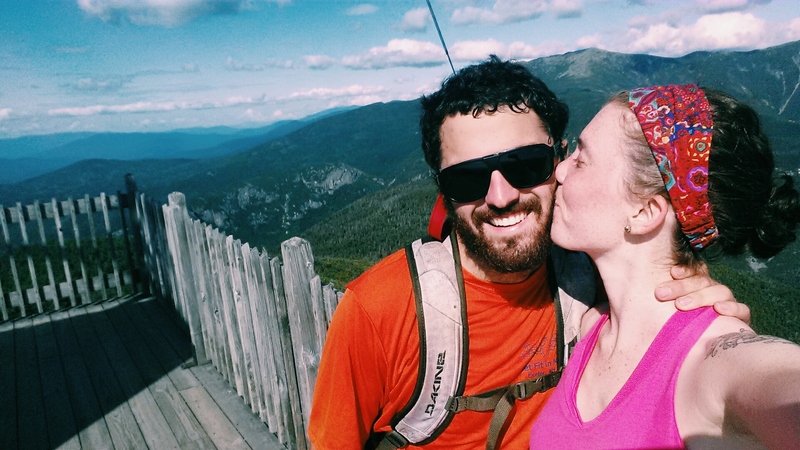 NH is a magical place, we’ve barely scratched the surface.